Is Snapdeal a shortcut to top for Infibeam, or a temptation it must resist? The sale of beleaguered e-commerce firm Snapdeal is turning out to be more long-drawn than initially anticipated. But one couldn't say it has deviated much from the usual script—a bigger competitor trying to acquire a smaller rival, and the consequent haggling between the two companies and the stakeholders involved. That was until last week when Ahmedabad-based Infibeam Incorporation Ltd, a relatively low-key e-tailer, reportedly made a purchase offer to Snapdeal. A person privy to the matter told VCCircle that Snapdeal’s talks with Infibeam—India's only listed e-commerce company—were running in parallel to negotiations with Flipkart. This comes after the exclusivity clause for sale talks between Snapdeal and Flipkart ended in the first week of July and the target company reportedly rejected the potential buyer’s initial bid of $700-800 million. Snapdeal’s biggest stakeholder, SoftBank, has been pushing for a deal with Flipkart as it harbours long-term interests in the Indian e-commerce sector. “But SoftBank cannot force a decision on the Snapdeal board as it does not have 75% voting rights,” the person cited above said, asking not to be named. Another person with direct knowledge of the talks said that Infibeam's proposal is genuine but it doesn't mean the Flipkart-Snapdeal merger plan has hit a dead end. People familiar with the development at Snapdeal also told VCCircle that its board will discuss a 50:50 merger proposal with the Ahmedabad-based e-tailer. The people didn’t give financial details but The Times of India reported last week, citing people it didn't name, that Infibeam had come up with a term sheet likely valuing Snapdeal at $1 billion. 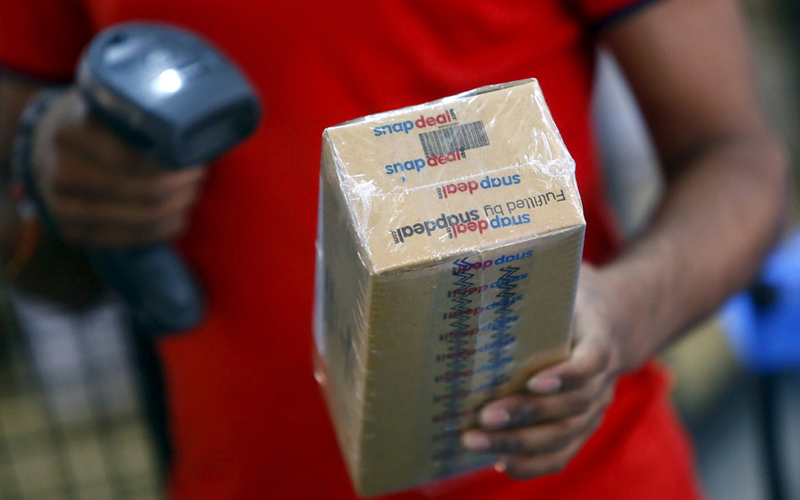 This excluded Snapdeal’s logistics arm Vulcan Express and digital wallet FreeCharge. Email queries sent to Snapdeal seeking comments remained unanswered while an Infibeam spokesperson declined to comment. In a statement to stock exchanges on Friday, Infibeam had denied bidding for Snapdeal and called the news report "speculative". VCCircle examines why a merger with Snapdeal would be desirable for Infibeam, what may work against it and the complexities involved. Infibeam is not a complete stranger to mergers and acquisitions. Earlier this month, its board approved merging payments firm CCAvenue with itself, a deal that experts feel will be heavily accretive to the online retailer. The second person cited above said that, unlike Flipkart, there is complementarity between Infibeam and Snapdeal. “Infibeam offers tech solutions to online sellers and Snapdeal has about 3 lakh sellers,” he said. Unlike other e-commerce firms that focus on business-to-consumer (B2C) offerings, Infibeam is heavily focused on the business-to-business (B2B) segment. The company’s enterprise platform BuildaBazaar.com, which provides small, medium and large merchants a commerce platform to help them start online stores, is growing sustainably quarter on quarter. The cloud-based, do-it-yourself platform integrates operation support services like payment gateway, logistics, order management, marketing and search engine optimisation and catalogue management, among others. That said, Infibeam “does have a consumer-facing platform and Snapdeal could replace the existing one to provide greater selection to customers,” the person added. Besides, for all the problems that Snapdeal is grappling with, one can't deny that it has reasonable brand clout in the space. Infibeam can leverage that brand recall. Founded in 2010 by former Amazon executive Vishal Mehta, Infibeam has restricted itself from raising—and surviving on—private capital, unlike its peers. Infibeam has also earned salience with its unwavering focus on the B2B segment. In the process, it has become India's only profitable e-tailer. It also believes that expanding margins, particularly from its B2B platform, will help it sustain growth. Infibeam’s consolidated revenue from operations for the financial year through March 2017 grew 31% to Rs 441.3 crore from Rs 337 crore the year before. Consolidated net profit surged five-fold to Rs 43.5 crore from Rs 8.8 crore. Investors have rewarded this strong financial performance. Shares of Infibeam have risen two-and-a-half times since listing on the stock exchanges in April last year. The shares closed at Rs 1,124.95 apiece on Monday, giving the company a market value of Rs 6,106 crore (about $950 million). Snapdeal’s performance has worsened. The company’s valuation has plunged from the $6.5 billion level in early 2016 when it raised funding from Canada-based Ontario Teachers’ Pension Plan. Moreover, the consolidated net loss of Jasper Infotech Pvt. Ltd, which runs Snapdeal, widened to Rs 3,315 crore in 2015-16 from Rs 1,328 crore the previous year, according to filings with the Registrar of Companies. It has yet to file its financials for 2016-17. Clearly, a merger with the bleeding Snapdeal may disturb Infibeam’s fine balance and bring lots of red colour to the combined entity’s balance sheet. The advantages and disadvantages aside, the Infibeam-Snapdeal merger won't be a walk in the park from a legal perspective. First, Infibeam promoters may not be able to pull off the deal by themselves, since it would need a majority approval from shareholders and institutional investors. Second, Infibeam’s higher market capitalisation means any deal would be a reverse merger of sorts. “A merger of this nature would be construed as a reverse merger, given that the general construct would be of a company like Snapdeal merging with a listed entity like Infibeam,” said Vinayak Burman, managing partner at Mumbai-based boutique law firm Vertices Partners. Besides, said Burman, a transaction of this nature would attract various clearances from multiple regulators including, but not limited to, the National Company Law Tribunal, the Securities and Exchange Board of India (SEBI), the Competition Commission of India and the Department of Industrial Policy and Promotion. A green signal from the capital markets regulator SEBI may prove to the biggest obstacle. In January, SEBI tightened the norms for the merger of an unlisted company with a listed firm. The norms also require public shareholders to own at least a 25% stake in the combined listed company. Burman said that SEBI, in its role as a market regulator and the protector of the public shareholders’ interests, has always been mindful of corporate governance risks associated with certain schemes of arrangement. “Given that this merger provides a mechanism of back-door access for the unlisted company to the capital markets, it would be expected to be cautious in its approach,” he added.